Click on each thumbnail to view and use the "Next" and "Previous" buttons to scroll through images. Click the "Print" button to print the image. 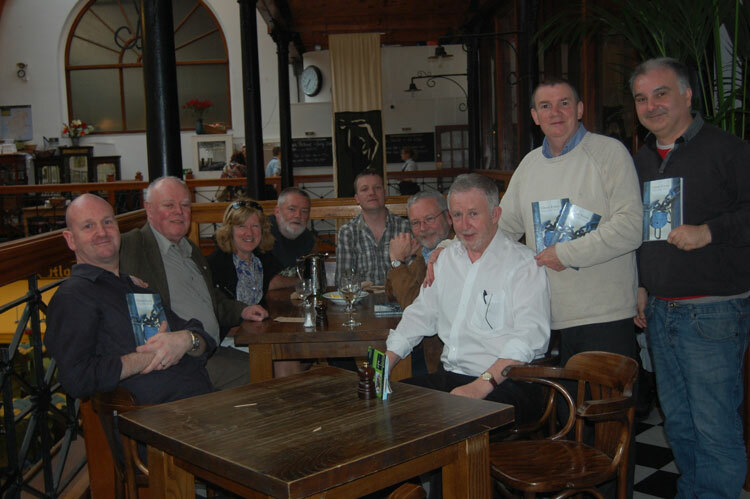 At the launch of Ghost Estate by William Wall, Cork, 21st April 2011: Alasdair McLeod (2nd from left), Gerry Murphy (4th from left) William Wall, Tom McCarthy (2nd from right), Pat Cotter on the right, and others.